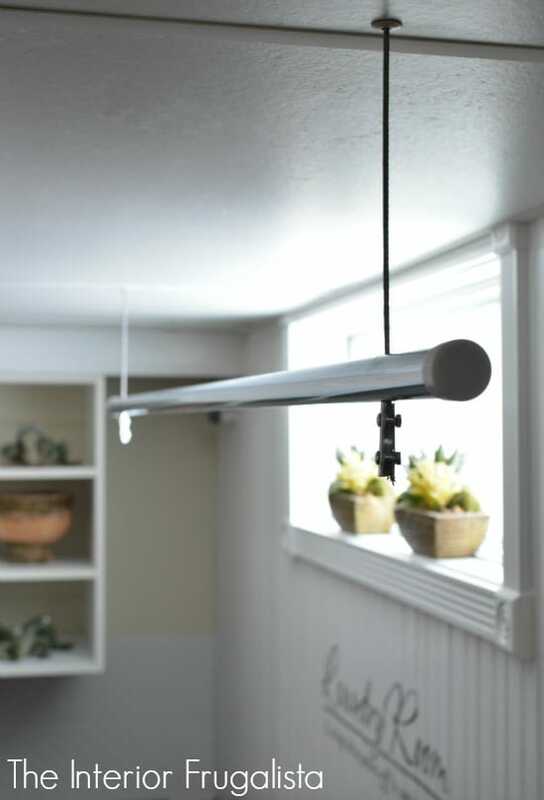 For some housing renovation projects, it is absolutely worth hiring a professional if you’re not necessarily that experienced yourself. After all, you want to make sure things are done right! 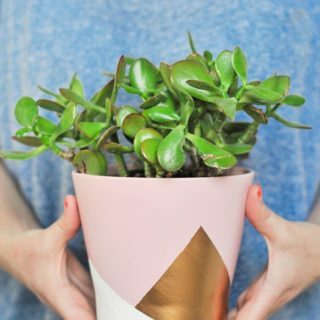 For other things, however, sometimes your own DIY skills are the best way to make small, affordable home adjustments that just make little parts of your daily routine easier. 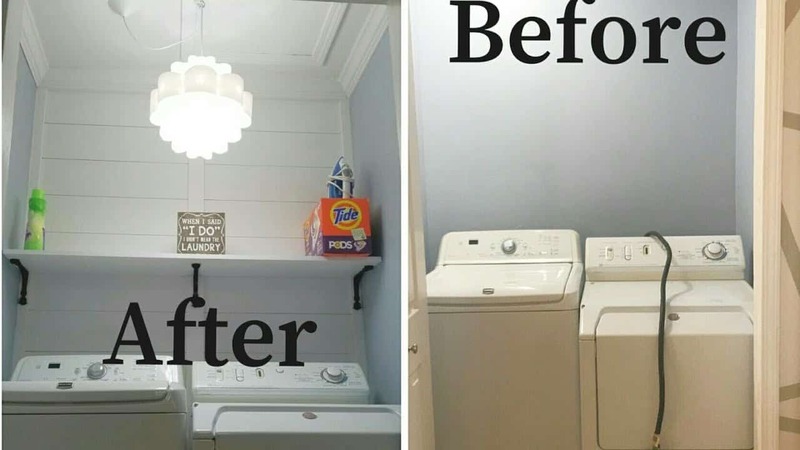 That’s why we’ve been looking for little laundry room remodelling projects that we can complete ourselves! 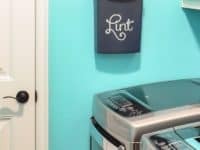 We’ve long been on the lookout for tutorials that will help us add and streamline parts of our laundry room to make things easier for us daily! 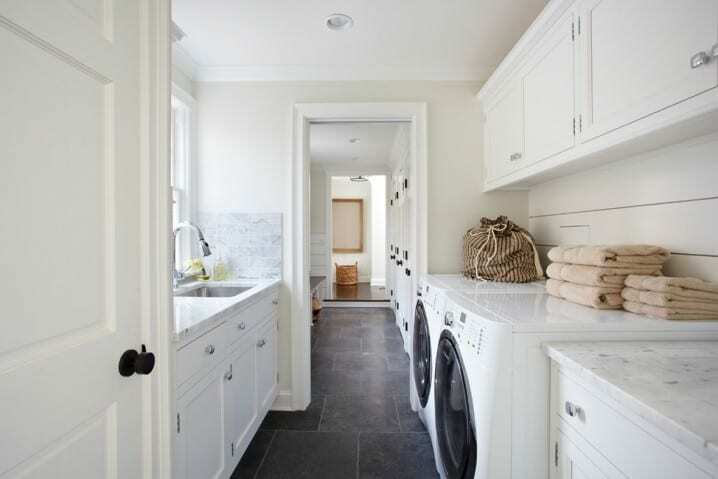 Just in case you love the idea of remodelling your own laundry room for the better just as much as we do, if not more, here are 15 of the very best tutorials we’ve come across so far in our search for guidance and inspiration. 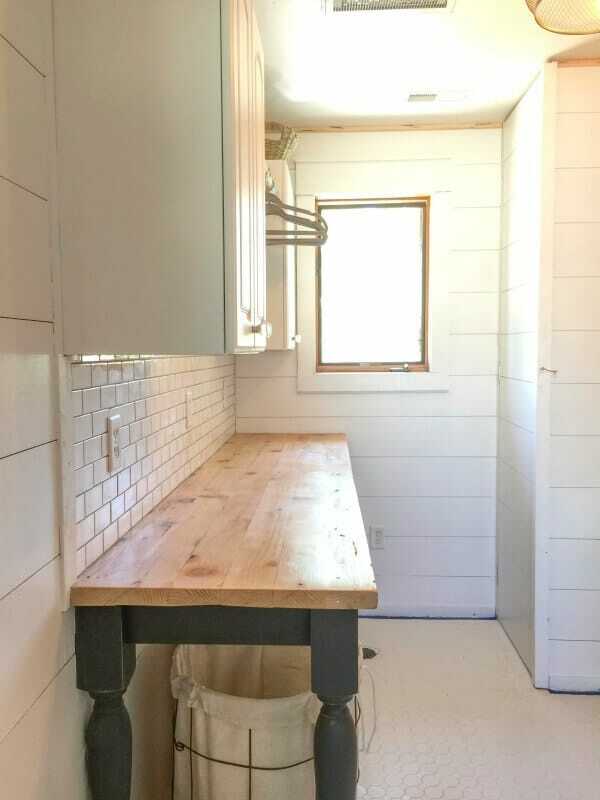 In our little laundry room space, there’s no room to keep or even really set up a big ironing board. We could haul everything back upstairs and iron in the living room, but the extra work that takes sometimes means we’re guilty of skipping the ironing all together. 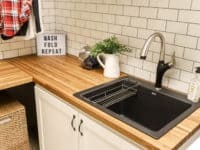 That’s why we thought the concept of building a pull-out ironing station right into one of the cabinets by the washing machine was such a fantastic one! 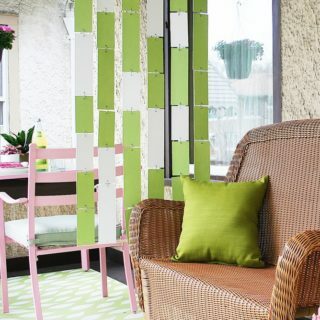 Porch shows you how it’s done in just a few simple steps. 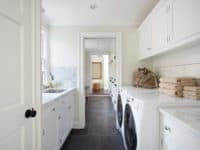 Perhaps your laundry room itself, in terms of setup and features, is actually pretty decent with the exception of the fact that you’re lacking in storage? 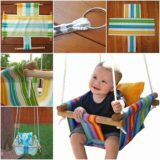 Well, so long as you have a closet at your disposal, why not transform the inside so that you can do more than just hang clothes there? 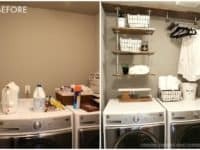 Check out how White House, Black Shutters added shelves, cubbies, bins, and hooks to make their little bit of storage space even more useful and efficient. 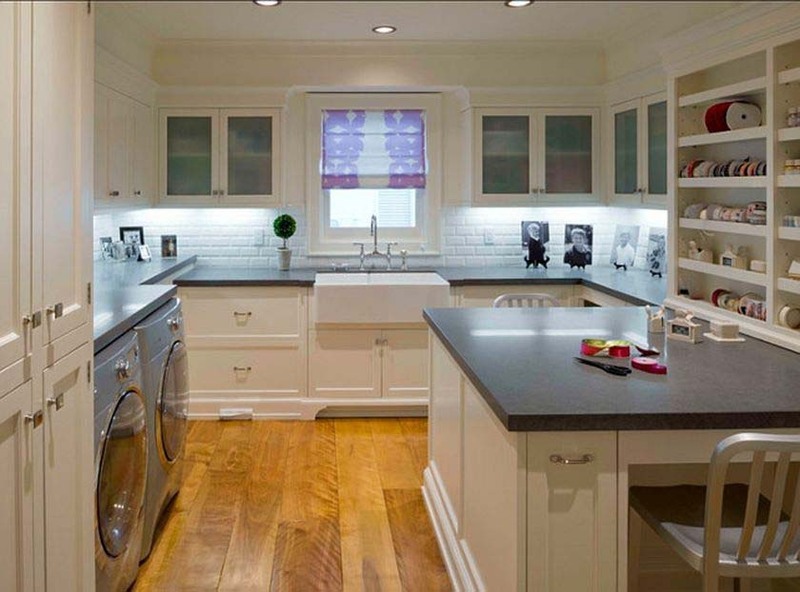 When you look at this photo, you see a neatly organized room that doesn’t have a bunch of bins and laundry baskets lying around taking up floor space. 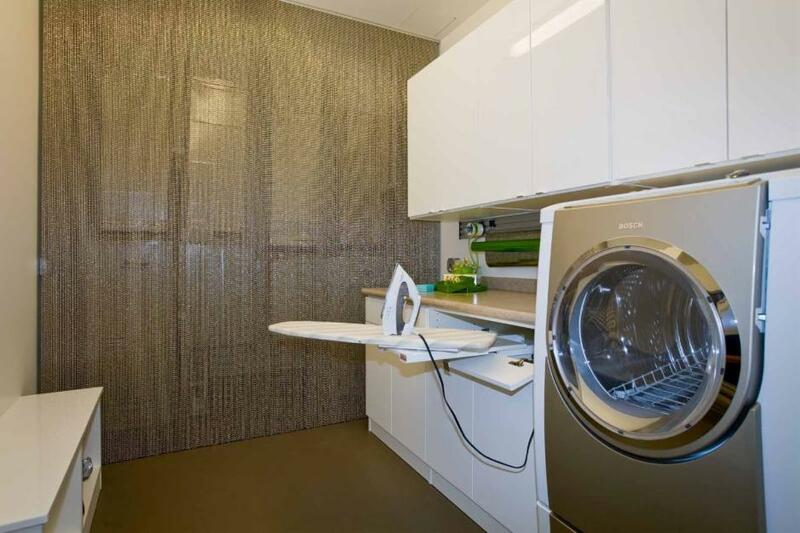 Those things are kind of necessary to most people’s laundering process though, so how did they get around it? 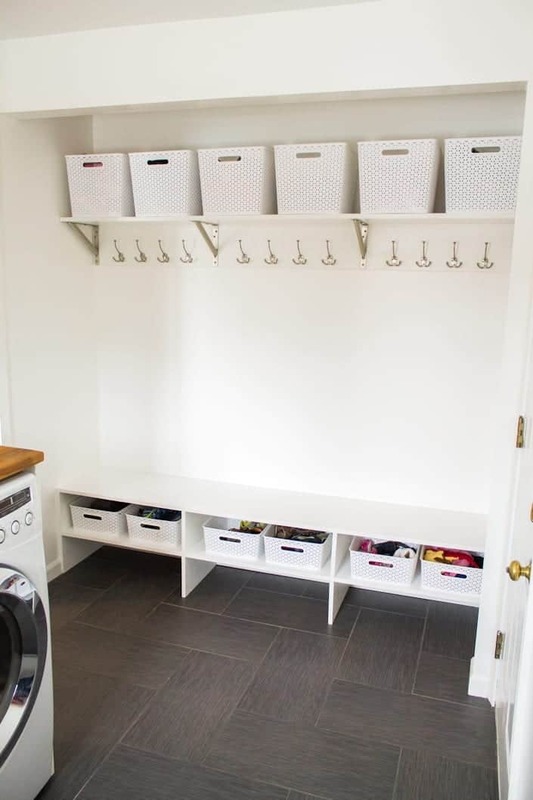 Well, Houzz TV is here to show you how they actually built things like their laundry sorting bins into the cabinets under the counters so that they can be neatly stored away between loads and not lay around making the room harder to navigate! 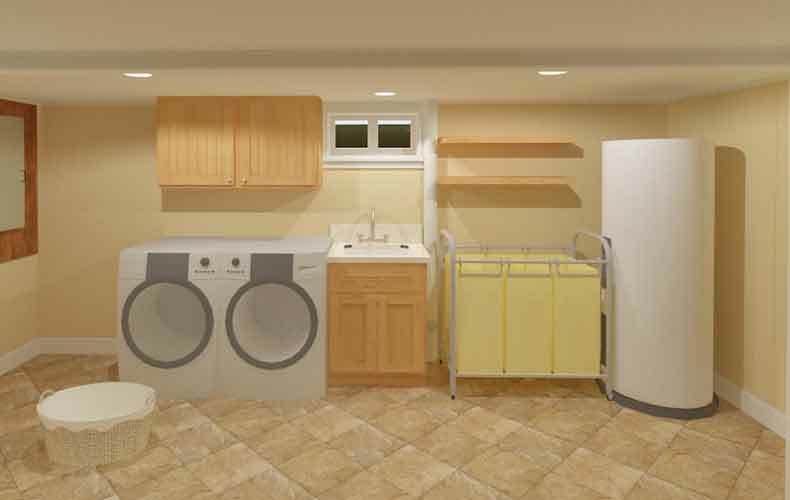 Maybe the functions of your laundry room are actually just find but you wish the space you spend so much time doing housework in was a little cuter and had more character? 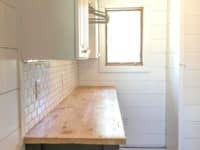 Well, specifically if you enjoy a sort of rustic chic aesthetic, we have a feeling you’ll love the surprisingly simple way Addicted 2 DIY transformed their countertops using reclaimed wood but still kept their lines neat and angular so that the place has a slightly modernized feel as well. 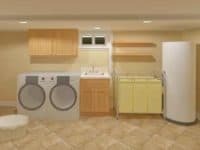 Perhaps your laundry room is actually very large and you’re looking for a way to take better advantage of that space in order to declutter other parts of your home? 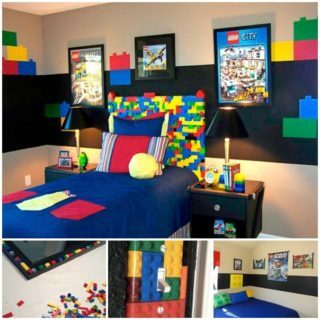 In that case, we think you’ll love the suggestions Archlux has for avoiding space wasting by diversifying your laundry into a dual-purpose room. 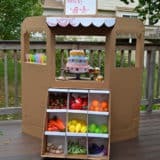 Why not set up a desk and turn one side of the room into a home office, or build some storage shelves for your crafting supplies and make the table you have their into a craft room opposite your dryer? 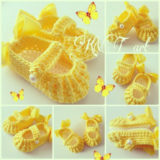 Sometimes success is in the details. 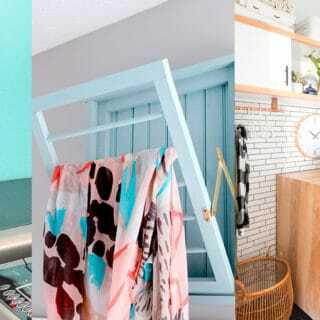 Just in case your laundry room actually functions quite well but you can’t shake the feeling that it could use a touch of comforting detail or a bit of cheerful decor, here are some suggestions from Worthing Court that will warm the place up but that are also practical! 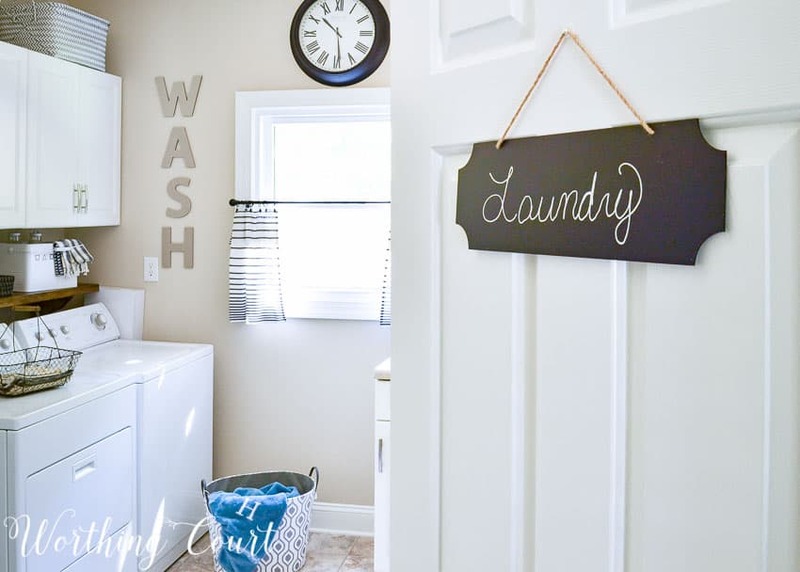 We like the idea of a chalkboard door sign that you can use to remind the family when the laundry is clean or needs swapping, as well as the ironing board wall hanger and the miniature clothesline that you can use to hang photos for nostalgia and stray socks you haven’t found the partner for yet. 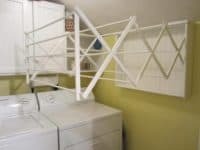 Are you the kind of laundry-doer that prefers to hang as many things as possible rather than putting the in the dryer, but your room is so small that you have trouble finding a place to put the rack on the floor? 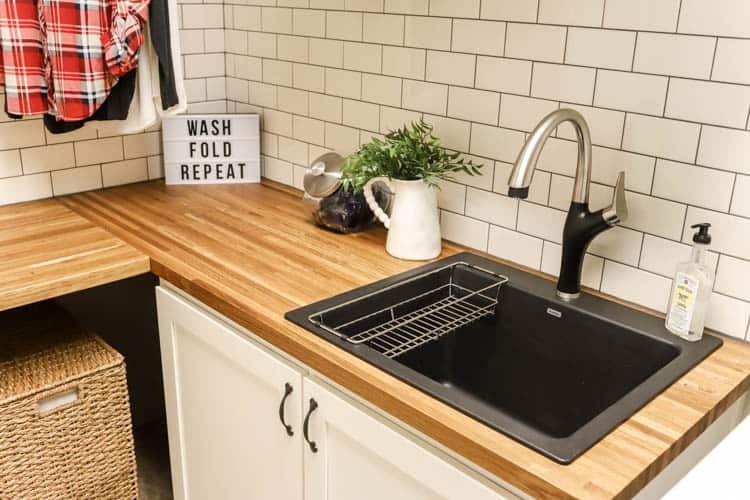 Then maybe you’d be best to create a collapsible wall mounted rack like this one featured on Home Staging in Bloomington! Simply push it back in when you’re done. 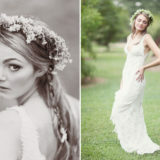 once again, sometimes the littlest features can help you out in big ways! 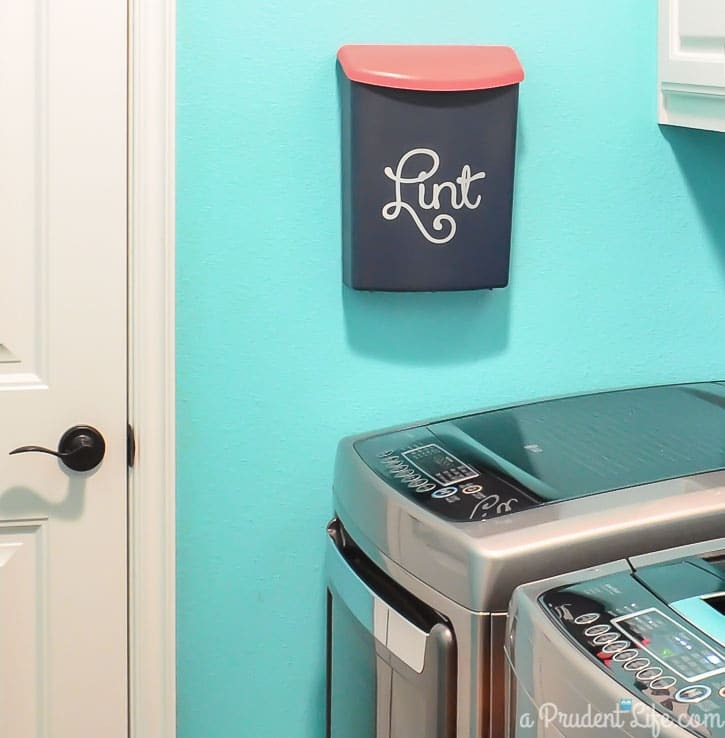 Sure, you can walk to the garbage can to throw out the lint from your dryer’s catcher, but we made one of these little wall mounted lint bins instead and put it right by the dryer and now we find that our kids remember to clean the trap every time they grab laundry from the machine for us, rather than just sometimes! 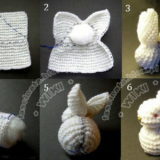 See how easy it is to do on Polished Habitat. 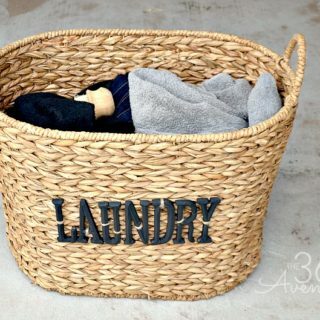 Perhaps the biggest issue you’ve had with your laundry is that you live in a small house or apartment and… you don’t actually have one? 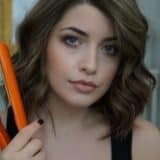 In that case, we think you’ll really appreciate this step by step guide from Ian Ingram that shows you how to make yourself one by transforming a closet. 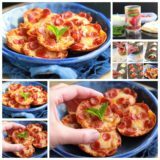 It’s actually simpler than you think, so long as you’re up for a small challenge! 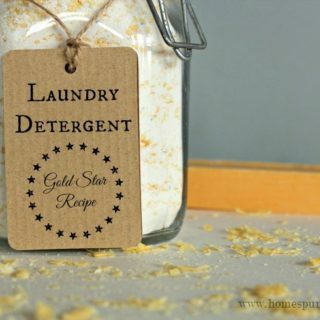 Just in case the ideas that have caught your attention the best so far are the ones that just add a little detail and cheer to your laundry space, here’s another cute concept for your consideration! 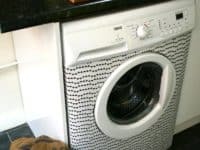 We’re totally in love with the way Grillo Design made over the front face of their washing machine using simple decoupage skills. 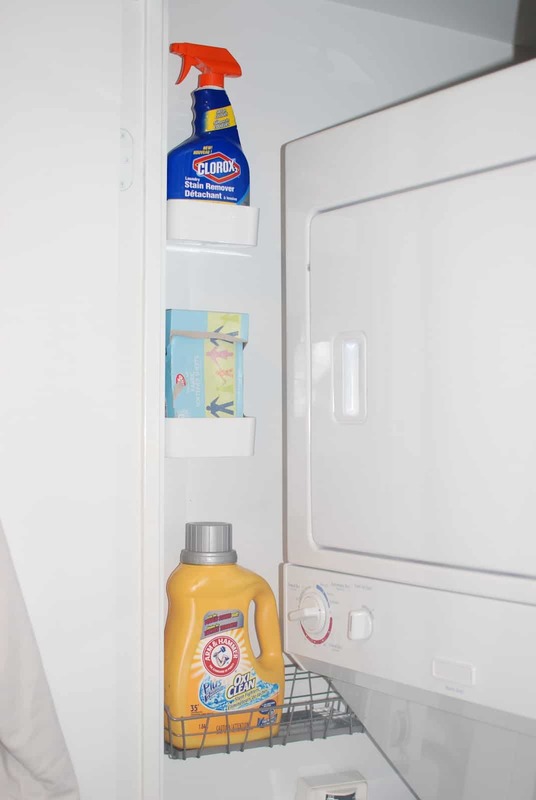 Are you working with the kind of limited space that doesn’t really give you room for proper shelving, but you’re tired of not having all the supplies you need to do your laundry accessible and right there when and where you need to grab them? Then we think you might appreciate the way Waffling wall mounted a few simple dollar store baskets right near there machine so all of their products are conveniently there up and down the wall, ready to go. 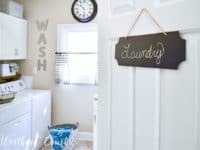 Perhaps your laundry room is quite spacious but it’s the first time you’ve actually had one of your own, and you’re just not sure how to organize it yet in a way that will make things as simple and streamlined for you as possible? 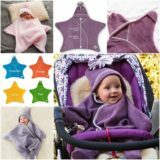 Then we think you might find some of the tips suggested on Home Posh helpful. 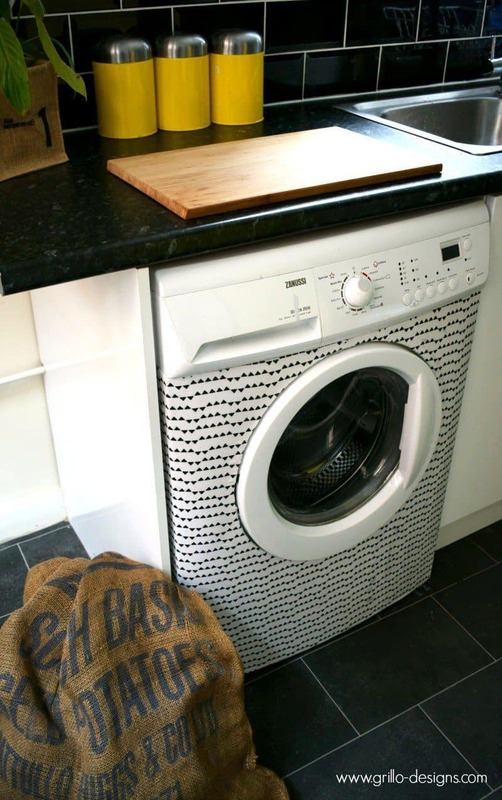 Personally, our number one tips is to make and dedicated room to having some large, deep sorting bins that can live right there near your machines so that clothing doesn’t end up scattered elsewhere or on the floor. 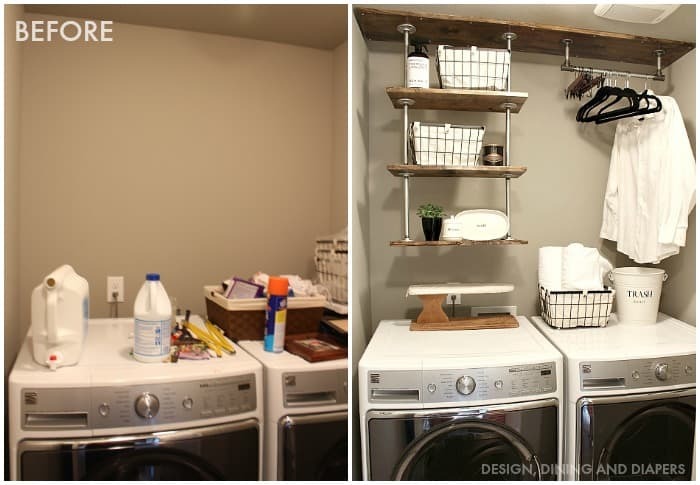 Just in case you’re still considering all of your different shelving options because you really could use a little extra storage, but you’re also trying to work with a particular aesthetic whenever possible, here’s a DIY idea that’s perfect if you love industrial chic! Taryn Whitaker shows you how to make and mount a shelf comprised of reclaimed wooden boards and silver piping. 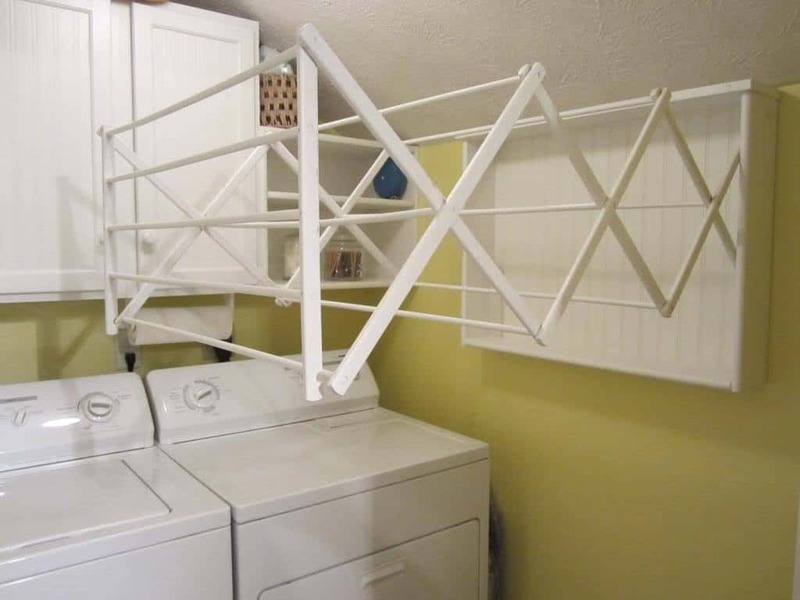 Just in case you’re still in the market for a simple clothes drying rack idea but none of the ideas you’ve seen so far will work with your space, here’s a concept that’s so easy you hardly need a tutorial (but we found you one anyways). 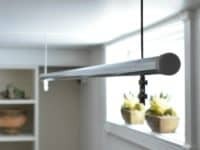 Check out how Interior Frugalista created an extra hanging bar for clothes to dry on from a length piping and some metal cord so it doesn’t swing around. If you’ve got the space to work with, why not build something that will streamline your process a little bit in the folding department? Twelve on Main shows you step by step how to build a wooden folding table that’s a little thinner than the average store bought table to space efficiency, but that will give you a spot to fold your clothes the moment they’re out of the dryer, rather than hauling them upstairs and having to find the motivation to fold them all your coffee table. 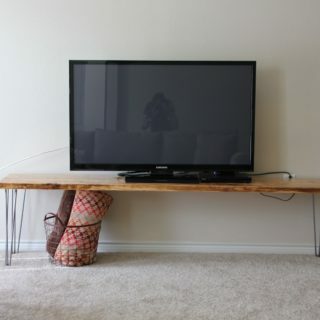 Reinvent Your Living Room With the Best DIY Television Stands!